Get the Best Event Materials Printing Services in NYC! 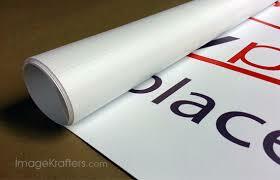 Printed content such as large format & banner printing have proved to be excellent marketing tools. Despite the age of internet marketing, such marketing materials still haven’t lost their appeal. One of the best things about printed banners and related sources is that they are quite versatile. You can have them printed in different designs, sizes, and can place them in your desired locations. Any successful business owner understands the impact visual marketing can have on his/her businesses. 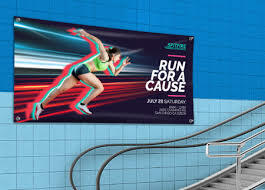 If you want to send a loud and clear message to boost up your sales, getting a large printed banner is a worthy step to take. There are numerous cases where you might have experienced extended deadlines due to slow printing procedures. This is certainly not the case here. As a business owner, you might have to deal with some timelines with no margin for extensions. For this, we have a highly professional and an experienced staff that works hard to ensure you get your order on time. The first and the most important priority is the print quality. Your banner should be clear, attractive, loud, and striking in appearance. We ensure that your message is delivered widely and have a welcoming effect on your potential clients. You can choose from numerous designs and styles to add the required charm to your content. It is important that your content source have the right font size, format and other ingredients to work its magic. We are here to ensure that the quality is top-notch despite the differences in your design and style requirements. A printed banner goes through various processes that require the use of various technologies. We have all the latest printing tech tools that ensure that your large format prints are of the right size and quality. Apart from other factors, you also need to decide the correct color outline and the content structure as well. 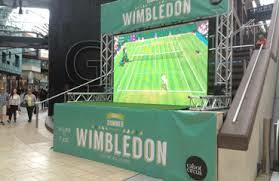 Our team consists of experts in the field who can help you out with your banner’s construction. This is to ensure that your content delivers swiftly and efficiently. In case you are confused on how you can shape your banner and present it to the world, we have your back. It’s quite a possibility that you might back out of printed banners because of an assumed high cost. The services you choose should provide cost-effective solutions that offer the same output. Our services also include making up suitable affordable printing solutions that deliver the same work quality. You can get a quick recommendation on your large format content through a phone call. Our customer support is highly responsive and offers quick and helpful solutions. Call us now at 646-205-3037 to book an appointment for the best large format printing services. Visit our website to learn more: Automation Graphics. ← Get the Best Event Materials Printing Services in NYC!